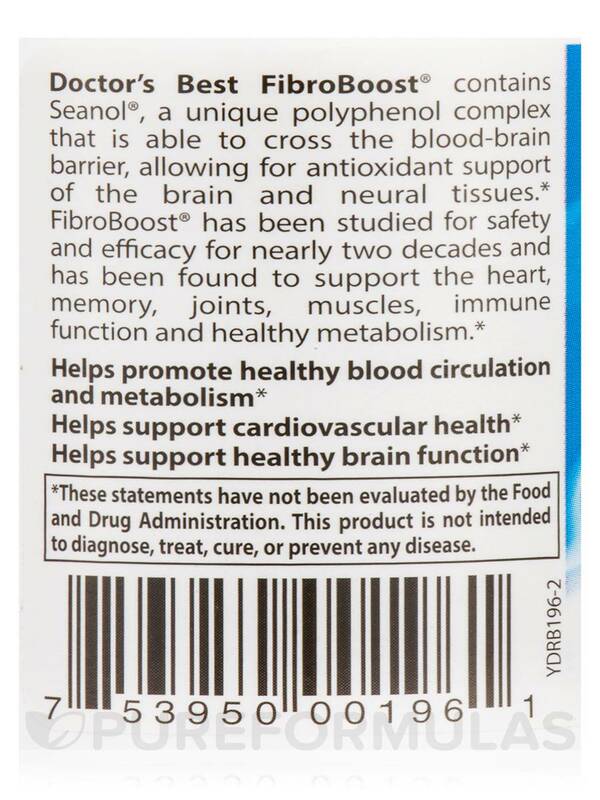 FibroBoost with Seanol helps soothes my nerves and muscles. Will buy again. 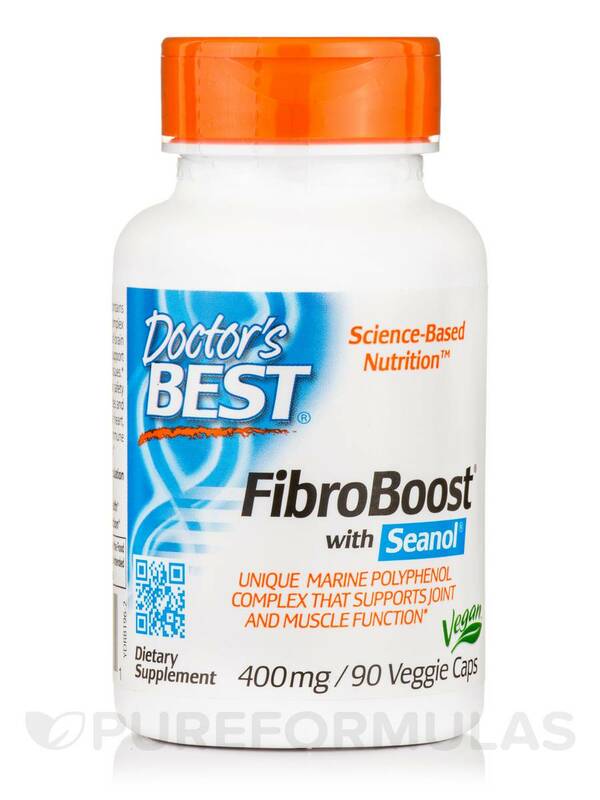 I have only taken FibroBoost with Seanol by Doctor's Best for 5 days. Seems to be doing something! 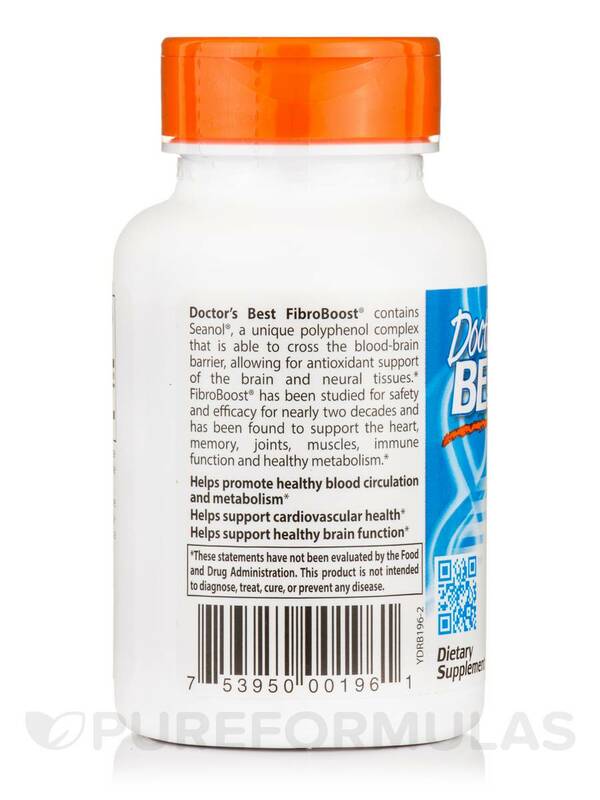 Doctor’s Best FibroBoost® supports heart health‚ memory function‚ joint health and healthy metabolism. It contains Seanol®‚ a unique polyphenol complex from brown algae with strong antioxidant properties. Seanol® contains hydrophobic compounds that are able to cross the blood-brain barrier‚ allowing for antioxidant support of the brain and neural tissues. 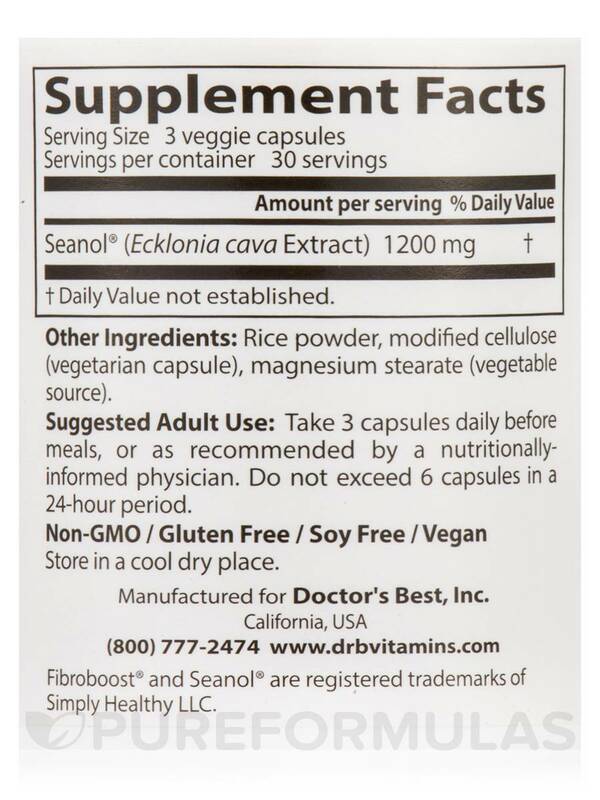 Other Ingredients: Rice powder‚ modified cellulose (vegetarian capsule)‚ magnesium stearate (vegetable source). 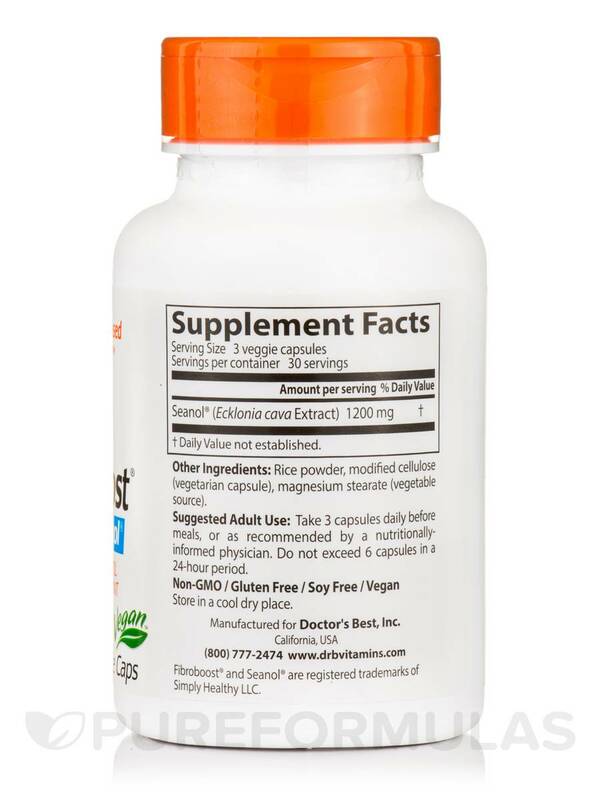 Take 3 capsules daily before meals‚ or as recommended by a nutritionally informed physician. Do not exceed 6 capsules in a 24-hour period. Helps me to think and to "do" my day.